The Bedtime Story | Bedtime. Sure there was kids furniture to be found, either playing second fiddle to the adult offering in the back corner of the large stores, or expensive ‘designer’ furniture costing thousands and taking up to 20 weeks for delivery. Either way, we found that children’s furniture was too childlike in both size and design, with little consideration of how it would match the rest of the home. With such limited choice, often poor quality and overpriced, surely it could be done better? 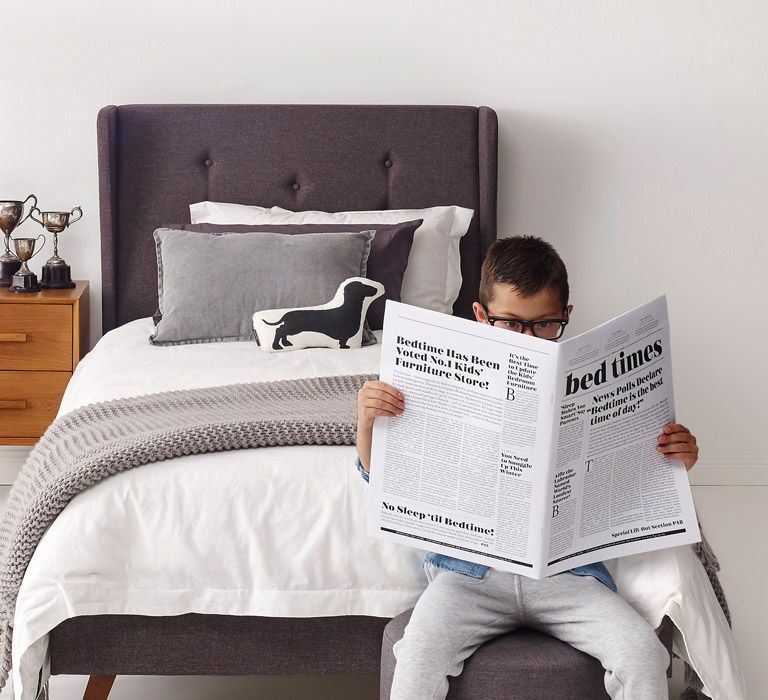 We launched Bedtime in 2006 with a simple approach - design and manufacture great value, timeless furniture with proportions that would ensure it remained functional and looking good for years to come. Fortunately, plenty of others felt just like us. Tens of thousands of customer’s have trusted our furniture to deliver the quality and safety they want for their families along with the style and design they want for their homes. Some may remember us as Parenthood – our original name when we sold nursery products and toys alongside our furniture. With the popularity of our furniture growing around Australia, we made the decision in 2016 to discontinue selling other companies brands, and thought it made sense to change our name to better reflect our furniture focus. Apart from the name nothing else has changed. Same company. Same people. And most importantly the same great range of furniture. So that’s the Bedtime story. It’s simple really - tried and tested quality furniture that the whole family will love. After all, family is at the heart of everything we do.